Gurugram: A city-based doctor has been booked under various charges of the Indian Penal Code including section 420 (cheating) of IPC after a complaint was filed by a patient’s husband accusing him of taking Rs 10 lakh for promised surgery and then not providing the said treatment. The case concerns a patient Shilpi Tyagi, who suffered from burn injuries after an accident and doctors advised her to undergo plastic surgery for treatment. Her husband, a resident of Meerut came into contact with one Dr TR Patnail at Sushant Lok phase-II for further treatment and the doctor informed that the couple that it would take around Rs 20 lakhs for the procedure. “I cleared the payment in two instalments — Rs 7 lakh in January and Rs 3 lakh in February,” the husband informed TOI. According to the Amar Ujala report, the date of surgery was then given to the patient. However, when the surgery did not happen on the patient, a visit was made to the said address only to discover that the hospital was being closed down the related equipments were being wrapped up. As per the patient’s complaint, they demanded that the doctor return their money the doctor refused to return the same and even threatened them. “, Even after getting the full payment the doctor did not carry out any procedure on my wife. Later, I got to know from others that he had cheated several similarly,” Dharmraj told TOI. 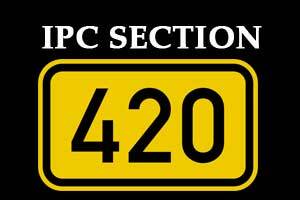 After the said incident, an FIR was lodged in Sector-10 police station accusing the doctor of cheating him of Rs 10 lakh, under sections 406 (criminal breach of trust), 420 (cheating) of IPC at Sector 10A. Based on the complaint filed, investigations have begun to look into the veracity of the complaint. Inspector Yashwant confirmed Amar Ujala that no arrests have been made so far. The investigation of the matter is being done. Did the complainant had a reciept saying that the money recieved as advance? did the receipt say for what purpose the advance was received? how the money was paid ? was it by cash or by cheque? if by chq in whose name chq was drawn? on the name of the hospital or on the name of the surgeon? If money was not paid by chq it may be noted that it is against law to pay and recieve money in transactions worth more than 10,000/- Did the hospital / doctor encash the chq given by the complainat or did the chq bounce? for all you know the complaint has no primafacie evidence other wise the doctor would not have been spared and would have been arrested straight away by the investigating agency. better not to believe the news blindly with out any evidence what so ever. Such acts of cheats make all sincere doctors bad name. Such acts by any body be adequately punished. Recover the amount and prosecute. Strictly avoid treatment under him.